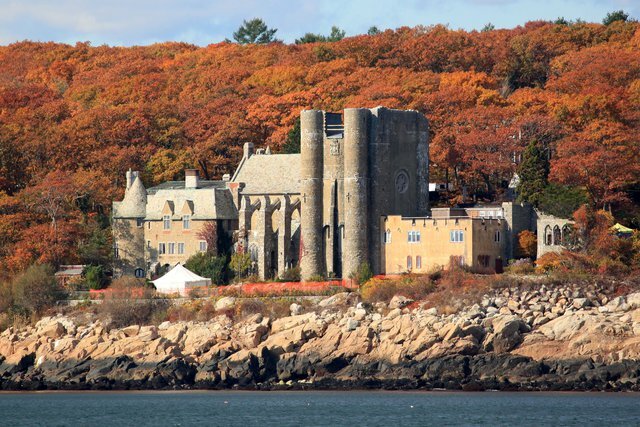 Unless you live near one, you may not know that Massachusetts is actually lousy with castles. Of course, these aren’t of the Medieval flavor (mostly), but they’re still some of the most spectacular and enchanting structures in the state. This road trip will take you to the best of the best with minimal planning on your part. All you have to do is hop in the car and prepare to be swept up by the magic of these majestic castles. The road trip will take you about five and a half hours, and you’ll want to budget time to actually get out and take a look at these awesome sites. 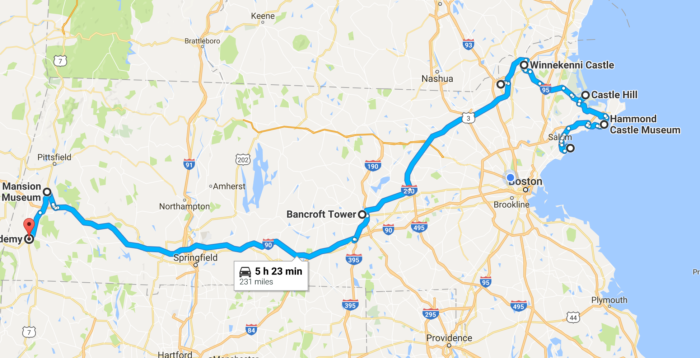 Check out the interactive road trip map here. 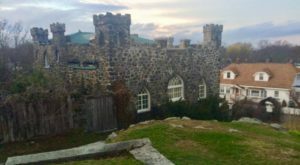 You may associated Marblehead with seaside fun and old sailing mansions, but this coastal town is actually home to one of the msot unique castles in the state. Best of all, you can stay overnight! Built in the 1920s by wealthy artist Waldo Ballard, the castle is modeled after the 10th-century Viking castle of Erik the Red. 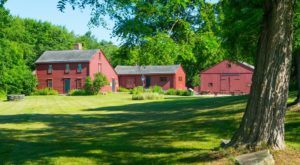 Today, it operates as a B&B. Your stay is bound to include plenty of gothic windows, dramatic views and fairytale charm. 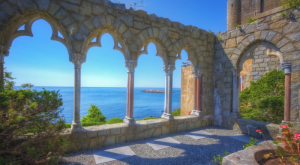 Perched on the rocky cliffs overlooking Gloucester Harbor, this remarkable castle is the former home of a wealthy and eccentric inventor who filled his castle with works of art from all corners of the globe. 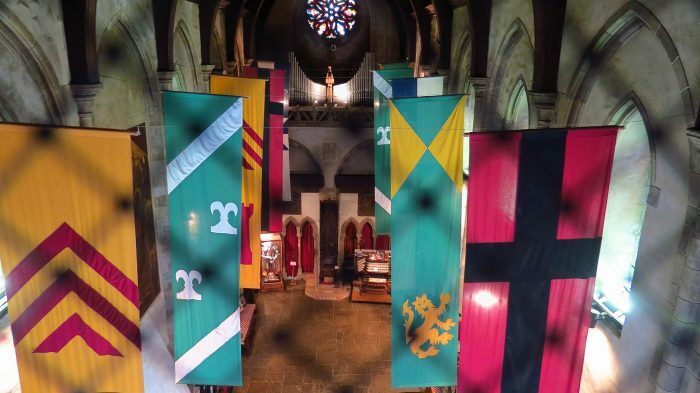 Today, visitors can take self-guided tours of the estate and explore places like great hall, courtyard, Renaissance dining room, two guest bedrooms, the inventions exhibit room, the library, the war room, the kitchens, the servants quarters, and even a secret passageway. 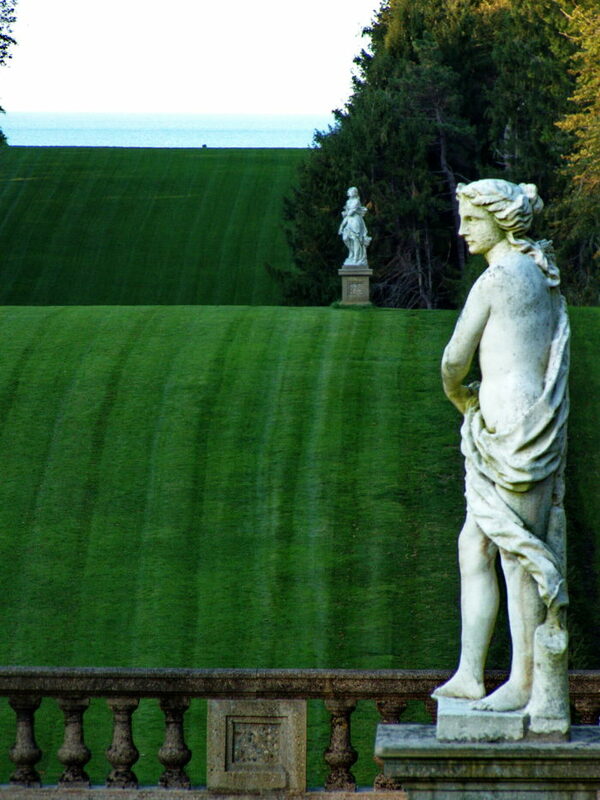 This old mansion overlooking the ocean has an undeniable air of stately grandeur. 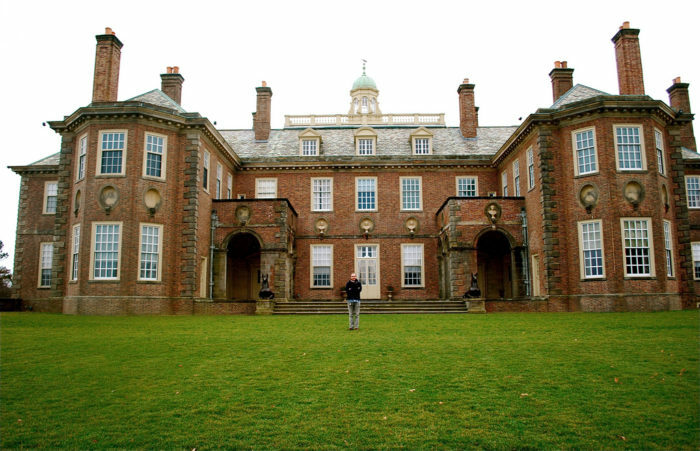 The films "Flowers in the Attic" and "The Witches of Eastwick" were both filmed here, and the estate frequently hosts themed parties and weddings. You can tour the palatial mansion, and then wander down to Crane Beach for some time in the sunshine. Built just over 100 years ago by Stephen Salisbury III, this tower is 56 feet tall and one of the most dramatic spots in the area. It's open to the public, and visiting is free. 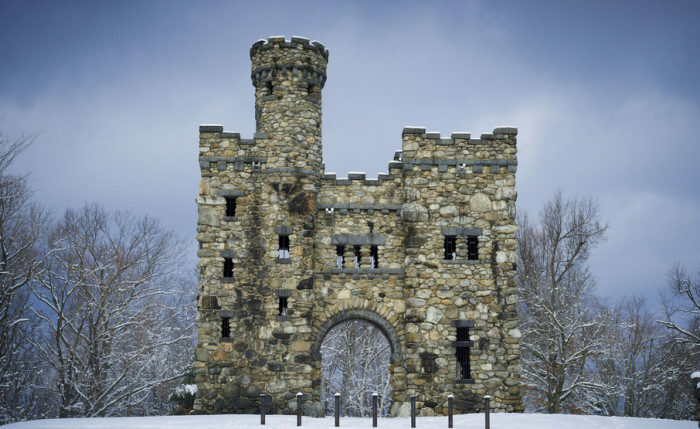 Bancroft Tower would make for a pretty perfect picnic spot, or an amazing winter photoshoot destination. 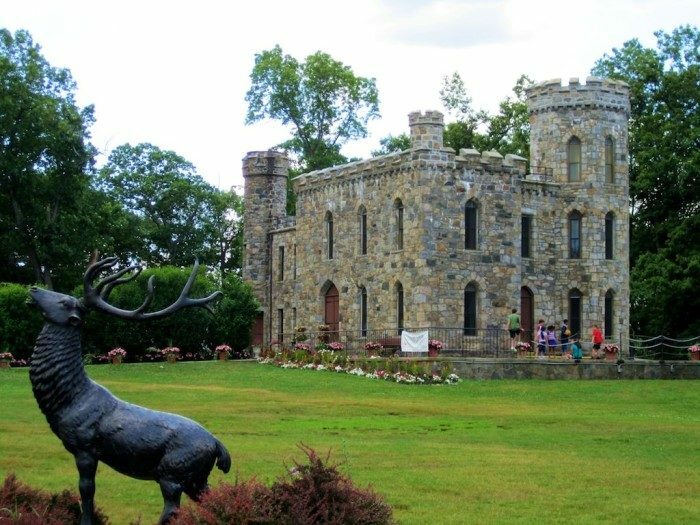 Searles Castle has an interesting history. 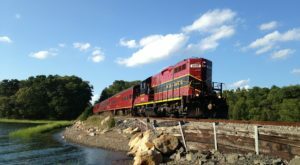 It was commissioned in the 1880s for Mary Hopkins by her husband, railroad millionaire Mark Hopkins. Tragically, Mark Hopkins died before the castle was completed. Mary then proceeded to wed her second husband, Edward Francis Searles – the designer of the castle's interior – while the home was being constructed. She named the castle after Searles. 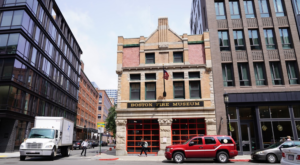 The structure has seven stories, 40 rooms, 36 fireplaces and even a "dungeon" basement. 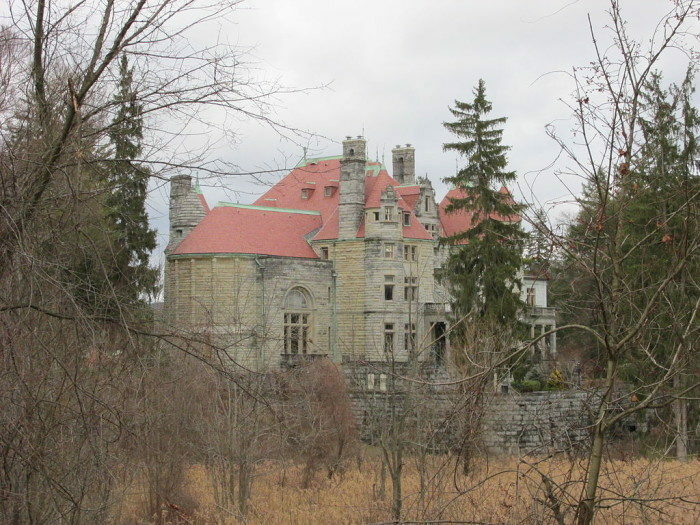 The castle currently operates as the John Dewey Academy for troubled teens. No, that's not a typo. There's actually a second Searles Castle in Methuen, and even more incredibly, it's named after the same guy. After the death of his wife, Mary Hopkins, Edward Francis Searles built another castle...and named this one after himself as well. Today, the estate is home to the Presentation of Mary Academy high school. The school does occasionally open its doors to the public for tours, but even just checking out the exterior is a pretty great experience. 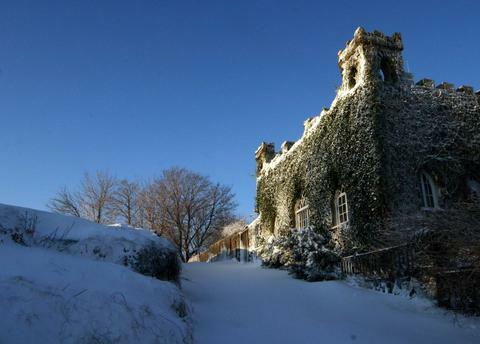 This striking castle was built in 1875 by Haverhill chemist Dr. James R. Nichols as a summer home. Its name, "Winnekenni," is an Algonquin word meaning "very beautiful." 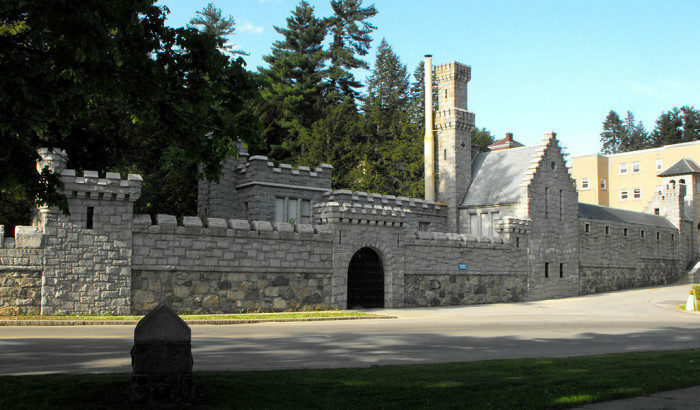 After purchasing the estate in 1895, the city of Haverhill opened the castle to the public. Today, you can tour this grand estate and picnic on the sweeping lawns surrounding the castle. This incredible estate actually houses a museum of the Gilded Age, where you can live your Downtown Abbey fantasies to the fullest. 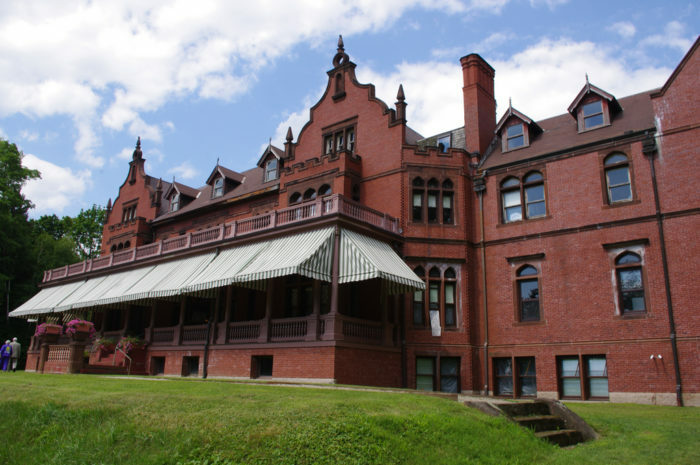 Built as a summer home George and Sarah Morgan (of the J.P. Morgan clan), Ventfort Hall was the center of the social season in the Berkshires in the 1890s and early 1900s. The house has 28 rooms, including 15 bedrooms, 13 bathrooms and 17 fireplaces. Public tours are available, and this castle is a popular spot for weddings and events. 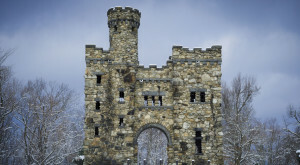 We profiled one of these castles as the most enchanting place in Massachusetts. Check out which incredible estate made the cut here. 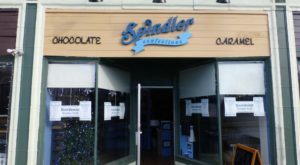 The Small Town In Massachusetts That’s One Of The Coolest In The U.S.